Before having dinner at Marufuku Restaurant (my previous post, please read my review here! ), my best friend and I had our annual birthday lunch (our birthday is one day apart!) 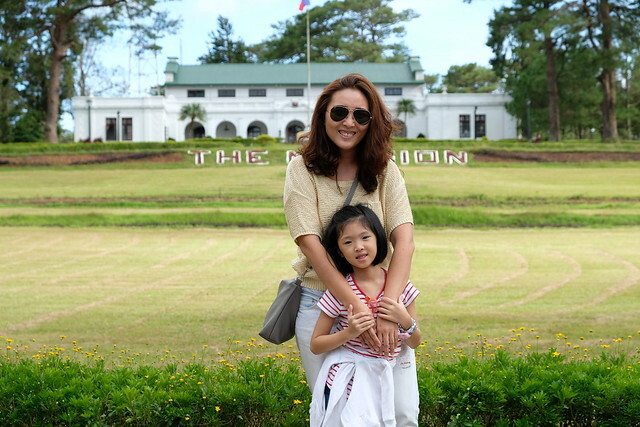 at Dohtonburi Greenhills last month! 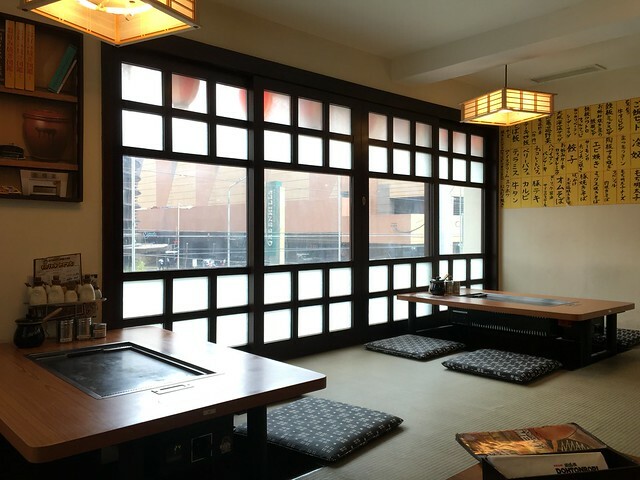 If you want to get the most authentic Okonomiyaki experience, this is the place to go! It really seems I'm having a big Japanese fever will all the restaurants we've been dining at! 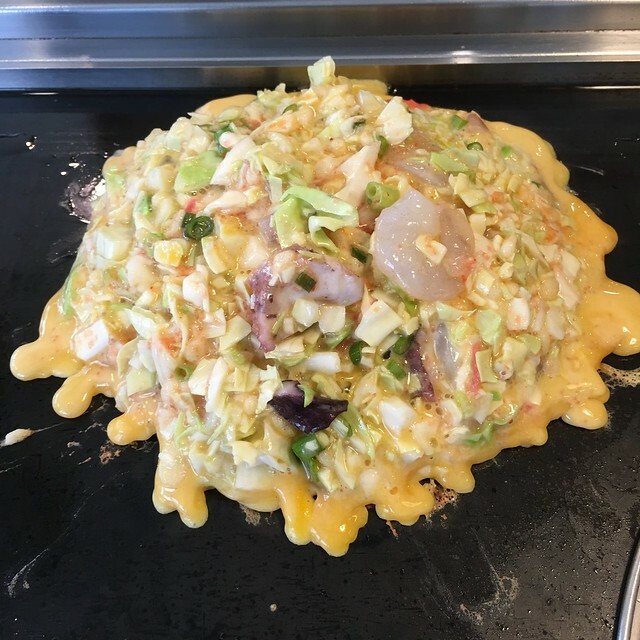 Okonomiyaki is a Japanese savoury pancake but when the word it broken down... From Dohtonbori Philippines Facebook Page: "What is OKONOMIYAKI (お好み焼き), you may ask? 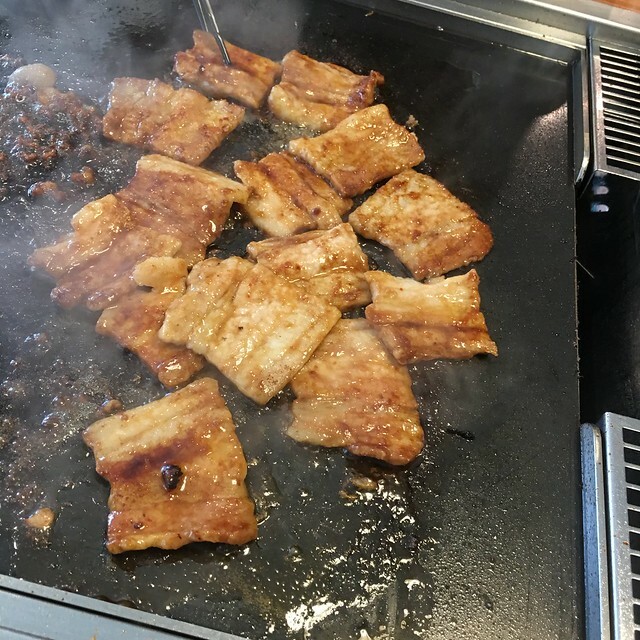 From the word itself OKONO (What you want) and YAKI (Cooking), it is basically "COOKING WHAT YOU WANT". 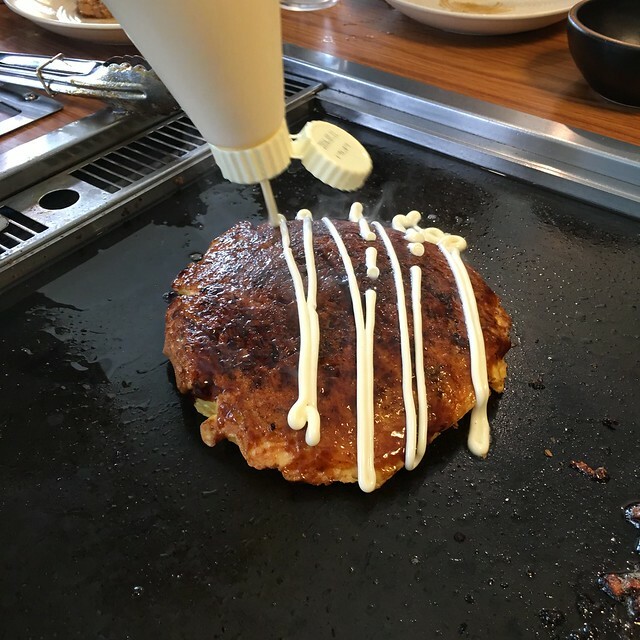 Okonomiyaki has been one of the most popular staple food in Japan where they consider this as their essential soul food." 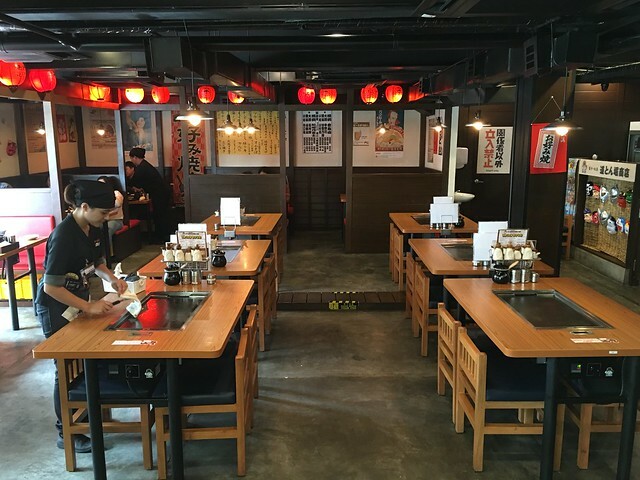 Dohtonbori gives you an authentic Japanese ambience. 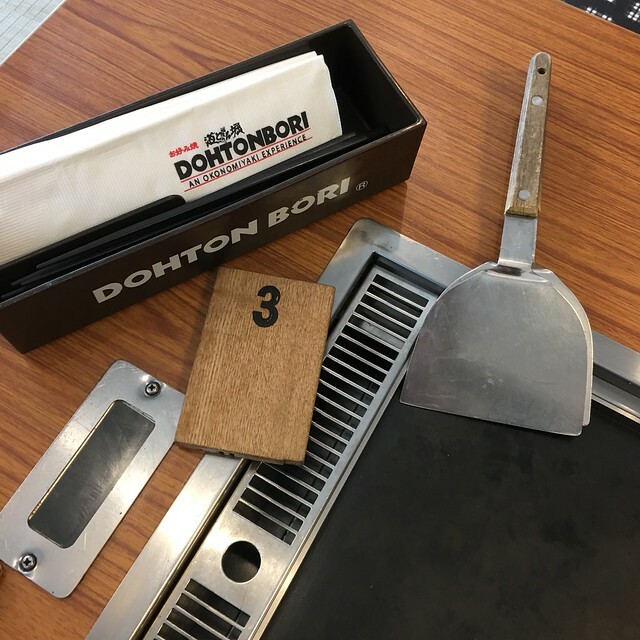 Each table is equipped with a griddle that has a built-in sensor to maintain the perfect temperature for cooking whatever you order at Dohtonbori. This is the main dining area but we opted to have our lunch at the area with the tatamis. 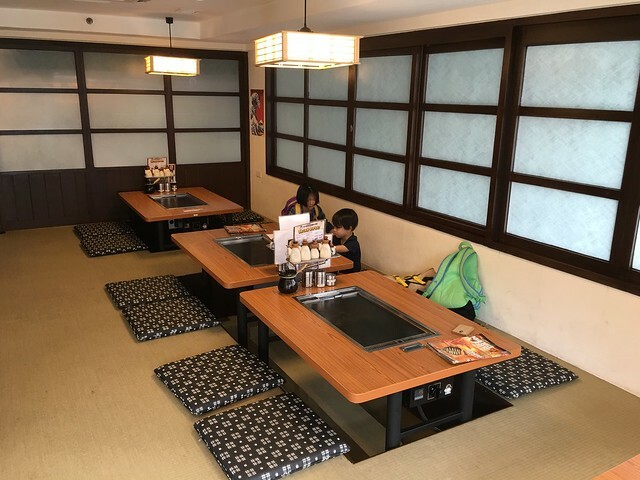 Kids loved the tatami but just a warning, their tables with the griddle are not the safest for kids though. Although the griddle on their table wasn't turned on, I still reminded them not to touch the griddle. 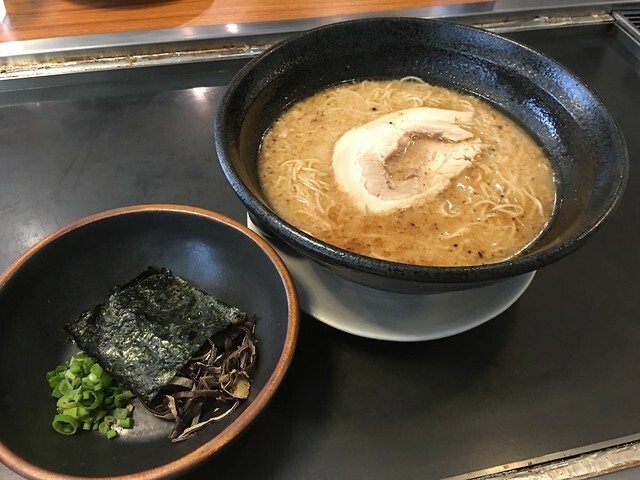 We were the first ones to arrive and my kids were already hungry so I ordered a bowl of ramen (what else?! haha) for them. They provided plates bowls, glasses and utensils for the kids (Cars and Frozen characters, siyempre benta sa mga anak ko haha!) which is always a plus in my book whenever we dine outside. Ramen Tonkontsu, Php290, with everything on the side because my kids don't like spring onions. The kids finished everything! 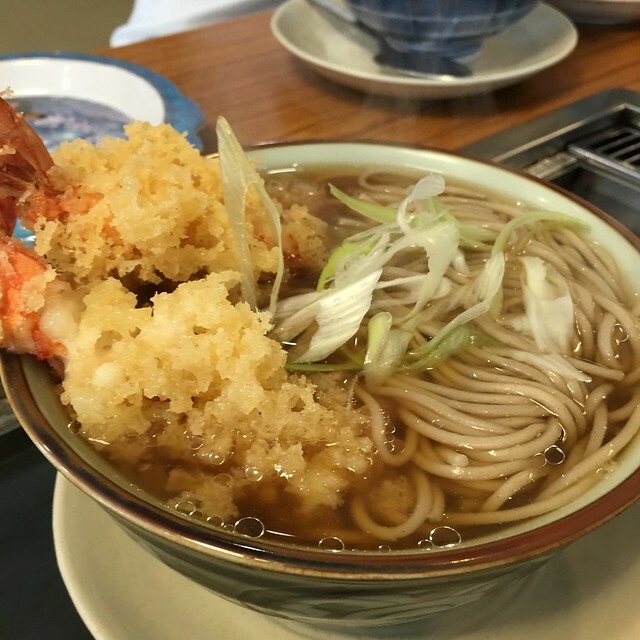 My best friend ordered Tempura Soba, Php390, for her daughter. I'm not a fan of soba but this was quite tasty! 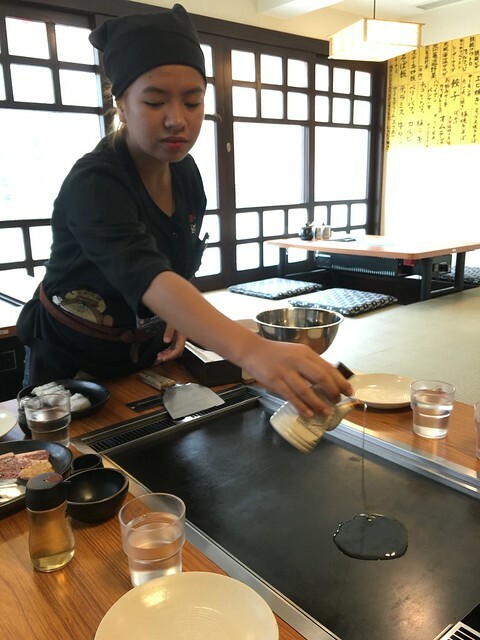 They cook everything in front of you, even the Gyoza! I was pretty impressed (or ignorant lang hahaha!)! They cooked the Gyoza, Php120, in front of us. 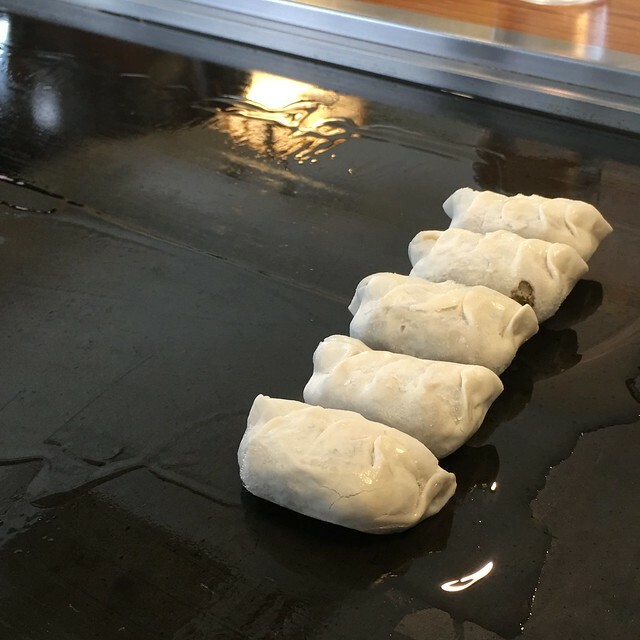 I was wondering how they would cook it since it will need water to steam the dumplings. 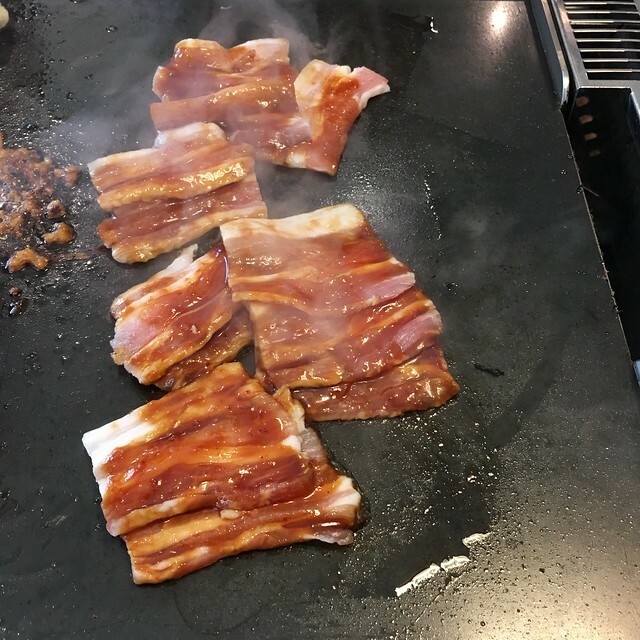 It was fried first, then they put a chunk of ice cubes, covered it with a stainless bowl and let it steam until cooked. Because it was our birthday, hindi na uso ang birthday cake. Birthday steak na! Haha! We ordered this Garlic Angus Striploin Steak, Php530. We asked it to be cooked medium. Sorry no more picture of the cooked steak because we wolfed it down once cooked. For the okonomiyaki, we had the 5 Seafood Okonomiyaki, Php360, which was their best-seller. You can cook it yourself, they have an instruction on how to cook, but we left it to the experts. Hihi! 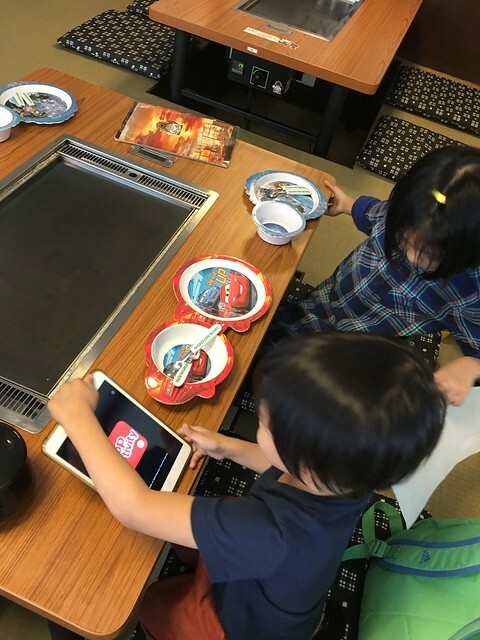 It took about 20 minutes to cook, they use a timer while cooking the okonomiyaki. They cook and we just watch! I like that they cook everything in front of us. The food is freshly cooked and hot. 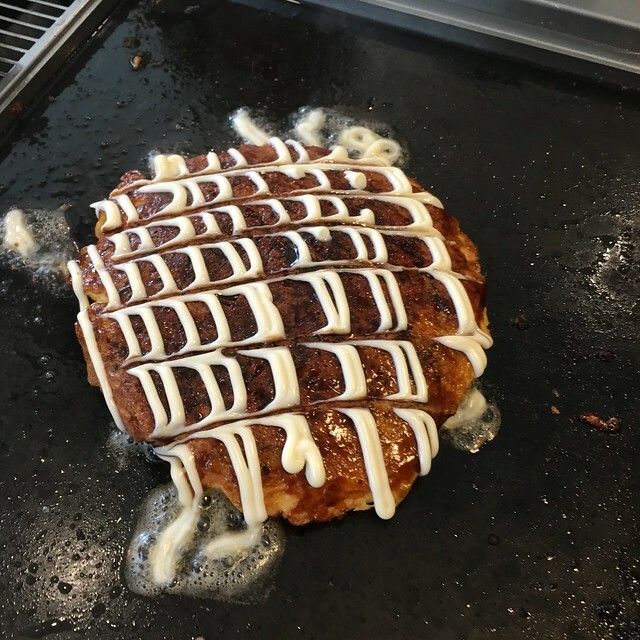 The Okonomiyaki was good! They certainly didn't scrimped on the ingredients! We also had the Pork Yakinuku, Php180, which would go really well with rice. I felt bitin with our okonomiyaki experience haha! 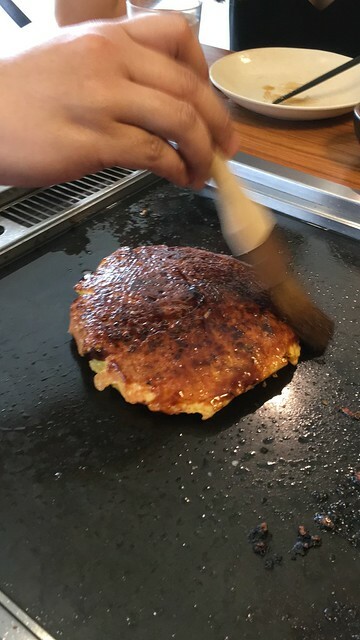 The okonomiyaki was good but I wanted to try more flavors and variety so I'll come back again and maybe try to cook it myself! 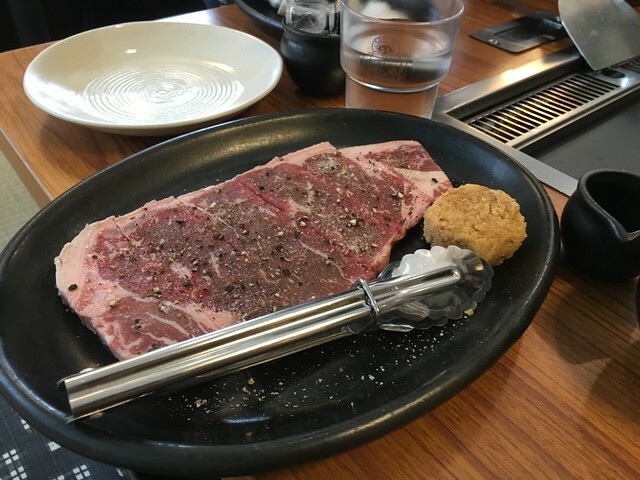 For the yakiniku, everything seems to taste the same, maybe because they use the same sauce for marinade? Maybe just try one kind for the yakiniku. 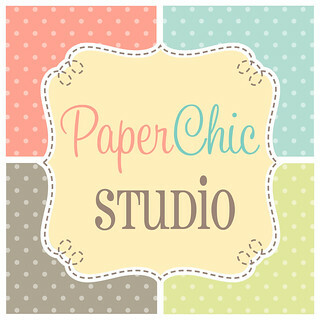 I like the whole experience!